My sister and brother-in-law came up today to visit my mom in the hospital, and we got to talking afterward about our dad and his family. She remembered, back when she was young and living at home, my dad telling her that Mother Jones had earned the respect and love of miners by devoting her life to fighting alongside them for their rights, and for the work she did to help strikers in need. She doesn't remember what spurred the conversation now, or why he would have had such a strong impression of her, but the question has intrigued me for a long time. He was born in Hartman, Colorado in 1916. My paternal grandfather moved to the Missouri Ozarks in 1921 with all his children (six or eight -- I've lost track). 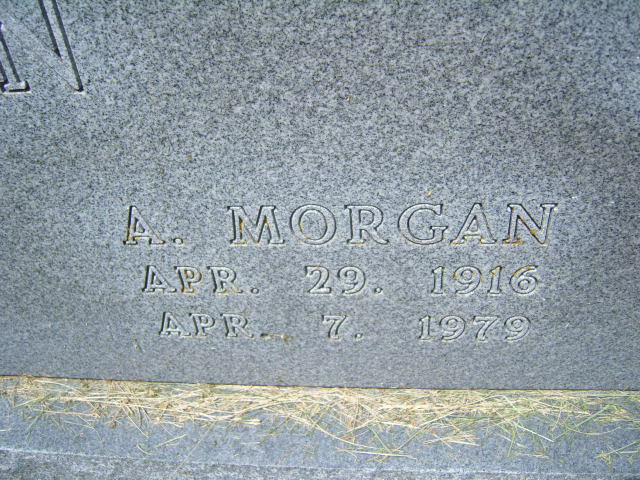 He died sometime the late '20s, I think, when my dad was twelve, and his mother's second husband pressured her to get the older kids out of the house. So my dad spent most of his time boarding and working as a hired hand at neighboring farms until his mother and step-father made him feel so unwelcome he migrated down into Arkansas and eventually married my mother. I really don't know anything about my paternal grandfather, or what his life had been like before he wound up having a son in Colorado. He was fairly well-read, and passed along a love of books to my dad. My dad's moldering set of Shakespeare, since lost to mice and mildew and multiple changes of residence, was originally his father's. And thinking about the whole Mother Jones thing, it seems pretty likely he would have been working in mining or some other extractive industry in the Colorado of 1916. 1916 wasn't long after the Copper Wars had ended in Colorado, with the governor declaring martial law and mine workers affiliated with the I.W.W. and other unions (Big Bill Haywood's Western Federation of Miners was the original core of the Wobblies) fighting pitched battles against state militia. And looking back on it, my dad's side of the family were classic textbook examples of the sort of people who made up the Wobblies in the first two decades of the 20th century. Aside from immigrant workers in New England mill towns, the I.W.W. was made up mostly of itinerant mine. lumber and migrant farm workers in the Plains and Rockies. The Wobblies spread like a religion out West in the mining and logging camps, and in harvesting gangs. The kinds of labor described in Woody Guthrie's song "Hard Travelin'" will give you a good idea. As soon as they got old enough to leave home, all my dad's siblings wound up gravitating back West, spread out through the Rockies and Alaska. And there has always been an unusual strain of radicalism among them. His sister Isabel used to be a communist (during an extended visit in the 1950s, she and her husband raised eyebrows by having the Daily Worker or whatever it was called at the time delivered to my parents' address). His sister Ruth married a guy who'd been heavily involved in organizing the shipbuilder's union in the CIO on the West Coast in the '30s, and had been knocked unconscious fighting cops during an organizing strike. Unfortunately, everything now is entirely a matter for speculation. All my father's siblings are dead, and years ago when I asked the last surviving one, his younger brother John, he couldn't remember much about their father's life before he moved to the Ozarks.